Ecology Cares is holding a Valentine’s Day bake sale fundraiser for women with Parkinson’s Disease. If you would like to contribute baked goods, please fill out this form. Stop by the Ecology lobby on Valentine's Day and pick up some sweet treats for yourself and/or your valentines! All proceeds raised will be donated to the Parkinson’s Foundation, supporting research for women with Parkinson’s Disease. Studies show that women who are diagnosed with Parkinson’s Disease face more struggles throughout the course of their disease than their male counterparts. Research studies for Parkinson’s Disease have been overwhelmingly male and there is new research being conducted that focuses on women’s Parkinson's Disease issues. The current Odum strategic plan includes a goal of hosting a school-wide service activity at least once a year, something we've been doing on an ad hoc basis. 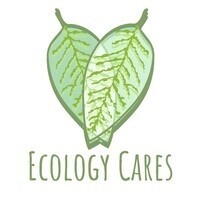 Now we've created Ecology Cares as a way to facilitate that! Contact organizers Terry Camp at terrycmp@uga.edu or Wendy Paulsen at wpaulsen@uga.edu with questions or to get involved! This fundraising event has been approved by UGA Auxiliary Services, Permit # 2019-001.